This post is a bit overdue, considering we visited Nicaragua five months ago now, in October 2012. But with the snow falling heavy on Boston lately, it seemed a perfect time to revisit–at least mentally–a nice, warm place. 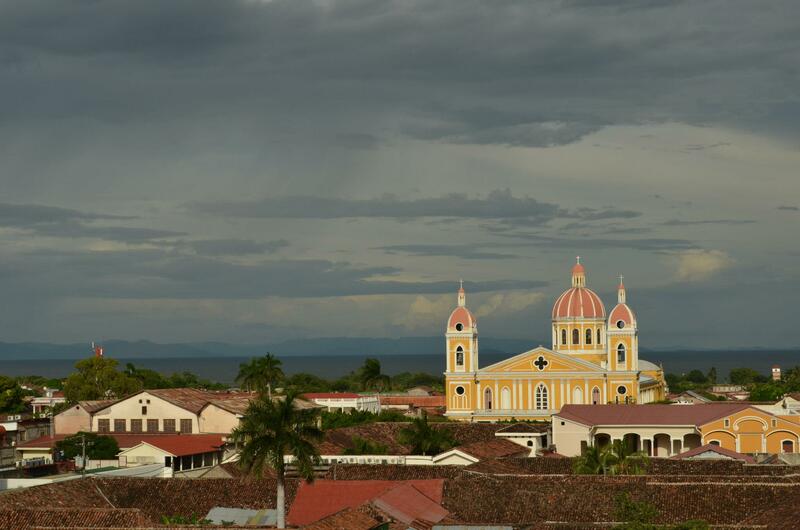 What made us choose Nicaragua? A combination of factors. We had been to Belize the year before, and loved it. Belize pushed us out of our comfort zone, in a good way, and we were eager to try another Central American destination. We had also read that Nicaragua was an up-and-coming travel destination: eco-lodges and yoga retreats are cropping up everywhere, culinary school enrollment is booming, and the government is offering incentives to continue and expand the tourism industry. I believe it was referred to in a Food and Wine article as “the next Costa Rica”. That, combined with it’s tumultuous political history (we grew up during the Contra war), made it intriguing to us. 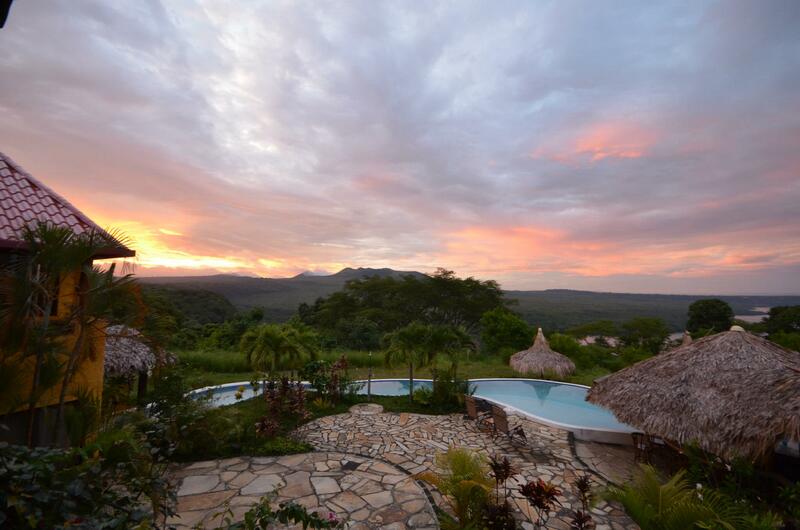 We actually hadn’t planned on a vacation last fall at all, as our eyes were on a bigger trip for this year, but then Rob got an email with some great travel deals listed for Central America, and one of them was for the Hacienda Puerta del Cielo in Masatepe. The reviews on Trip Advisor were universally good, and a few email communications with one of the owners confirmed their professionalism and attention to detail. We booked it, and added two nights to the original four-night special (which they also gave at the special rate). We selected our casita, sent along our room fridge requests, as well as the details of our flight for pickup at the airport. Puerta del cielo translates to “heaven’s gate”, and that is truly what the owners of the Hacienda are aiming for. 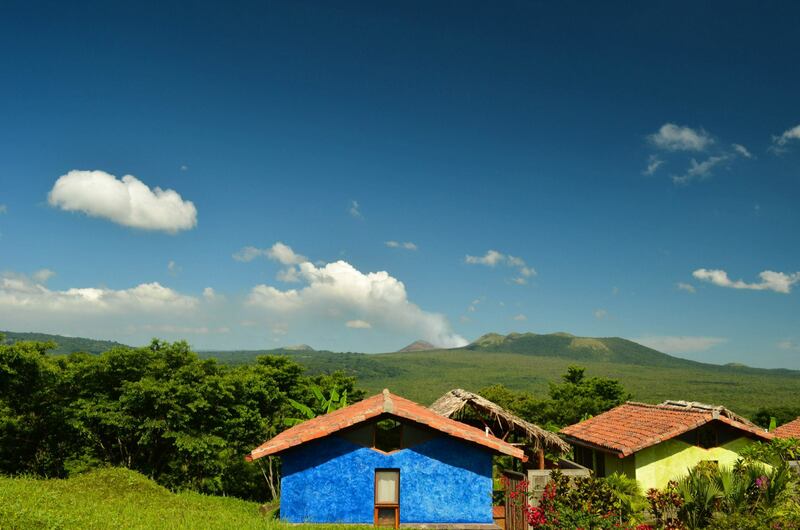 Situated at top of a hill overlooking a valley down to a lake, you can see Masaya Volcano in the distance. The owners are from Masatepe, but both had moved to the US years ago during the revolution. They went to university here, had careers, and eventually wanted to go home. Originally built to host one of the owners’ high-end clients (he is a yacht architect), the Hacienda is a lovely retreat comprised of a main building, dining patio and bar area, four standalone casitas, and a spectacular pool area. We had a private gated entrance, a hammock and lounge chair on a deck, and outside shower (oo la la). Inside was a very large room, with a comfortable king sized bed facing windows that overlooked the mountaintop view. The property was cleverly designed for privacy, so that you could be anywhere in your room or on your deck, and not visible to the other casitas. The food was spectacular. 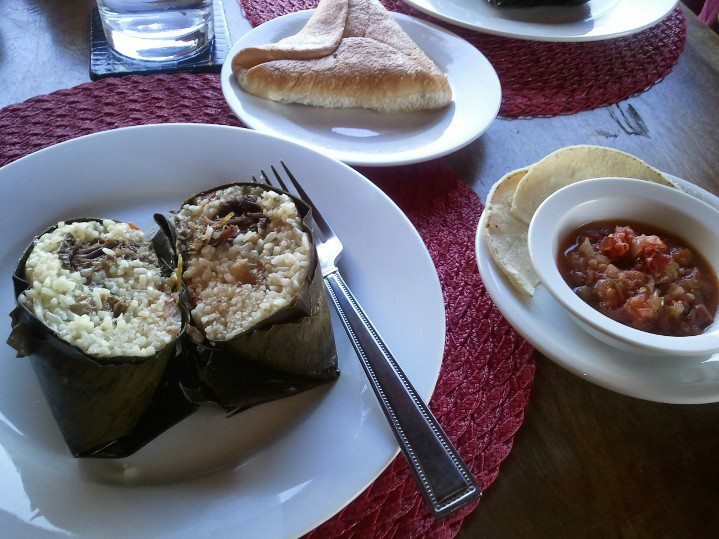 Each morning was a three-course breakfast, consisting first of pastries, then a large fruit plate or bowl, always with a little granola & yogurt sprinkled on, then a hot dish such as tamugas (a type of Nica tamale made rice), or sausages with rice and beans. We had never had many of the dishes before, but everything was delicious. We became slightly addicted to the pickled onion and pink peppercorn relish served at every meal. Dinner was equally delicious, usually fish or chicken, and despite the regular variations on plantains, rice and beans, nothing felt repeated – we were getting something different and interesting each day. One of the reasons we added a couple of nights was to ensure we could do all the excursions we wanted to, and not feel rushed. On one of the days we went to Mombacho, an active volcano with a coffee plantation built up along the sides, where we ziplined over the coffee, and then were able to hike around the top of the volcano just before a huge rainstorm rolled in. 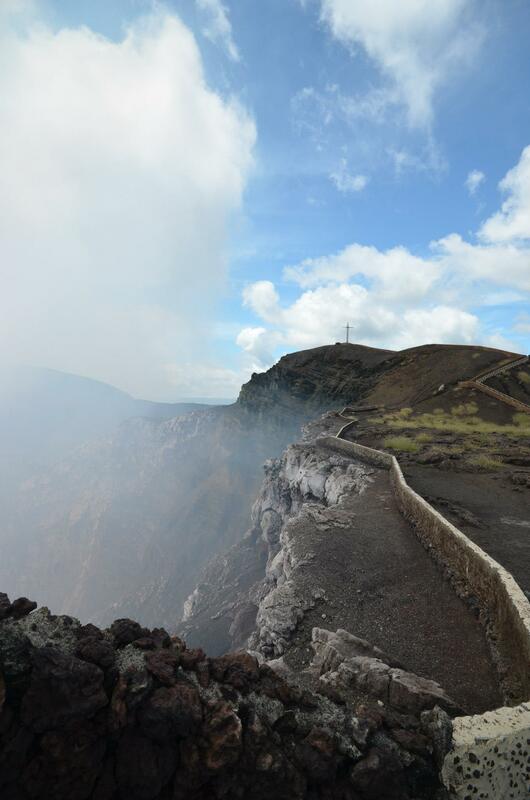 Another day we went to Masaya, another active volcano, where we did a lot more climbing, and looked into la boca del infierno, the “mouth of hell.” We also hiked down into a mountain cave, where we saw roots from the large surface trees sprawling 500 meters underground. Our third excursion was to the colonial city of Granada, which had some beautiful examples of old Spanish architecture (actually parts of that city reminded us of New Orleans), and had a great lunch at El Zaguan followed by a carriage ride with a very knowledgeable guide. Later, we toured Lake Nicaragua (the largest lake in Central America) by boat and got a close-up look at many of the 365 isletas that were formed when Mombacho erupted a few thousand years ago. As great as all of those activities were (and I didn’t even mention the fantastic massages we got in our casita), the gem of this place is definitely Luis, one of the two brothers who own the Hacienda. Luis lives on site, and sees to your every need. But more than that, Luis embodies the absolute warmth of the Nicaraguan culture. 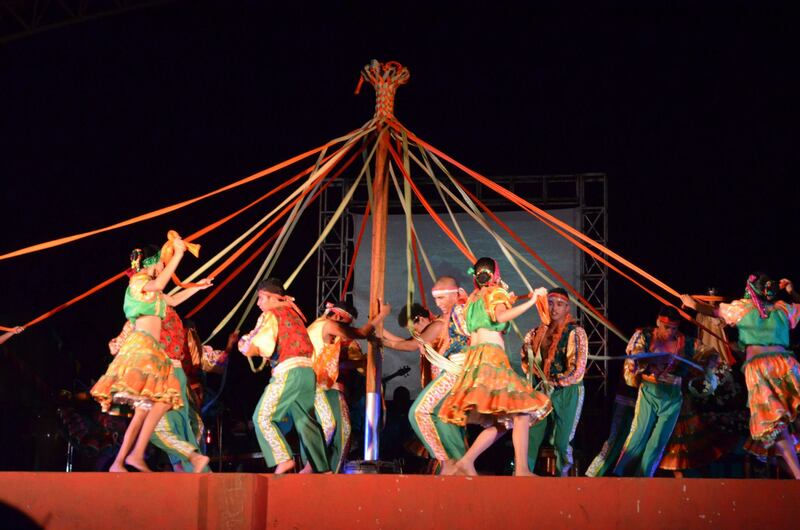 That was never more evident than on our last evening there, when Luis let us know about a festival that was happening in a local village nearby, which included a dancing troupe that would be doing folkloric dances telling the history of Nicaragua. This wasn’t a normal excursion, because it wasn’t a regular occurrence, but Luis was taking his girlfriend and asked us and the other couple staying at the hacienda if we wanted to go. Of course, we all said yes! Luis piled us in the van, and we drove to this little village called (I think) El Rosario, where Luis led us, wheeling a cooler full of beer & wine, to the outside gymnasium of a church, where we sat among families out for the show. It was rather surreal but a lot of fun, and despite being the only tourists there, felt perfectly comfortable and welcome. Now, even with all of the budding tourism, there’s no getting around the fact that Nicaragua is an extremely poor country. This was no more obvious than each time we drove down from the mountain and out through Masatepe. It could be seen along the streets of Managua or Granada as well. But everywhere we went we also encountered friendly people, big smiles, and people who were proud of their culture. We enjoyed our stay even more when we discovered how much Luis and his brother are trying to help their community, by hiring local people and helping to train them in the tourism industry. In all, we had a really nice week in Nicaragua. Not as adventurous as Belize, for sure–the most exotic thing we encountered were geckos, all over our porch light each evening–but interesting, educational, and relaxing. And as we learned from Luis, ¡Como mi Toña, ninguna!